Born: April 29th, 1899 in Washington D.C.
Duke Ellington was one of the most influential figures in the history of jazz music, and he is largely regarded as one of the 20th century’s most renowned African-American personalities. His music stretched into many different genres, including gospel, blues, movie soundtracks as well as classical. Ellington’s famous songs include “Mood Indigo,” “In a Mellotone” and “Solitude,” to name a few. Duke Ellington was born to James Edward and Daisy Ellington on April 29th, 1899 in Washington D.C. Ellington was brought up by talented musical parents. At the age of seven, he began learning piano and was christened “Duke” due to his gentlemanly ways. Inspired by his work as a soda jerk, Duke Ellington composed his first song, “Soda Fountain Rag” when he was 15 years old. Despite getting an art scholarship to study at Pratt Institute in Brooklyn, New York, Duke followed his passion for music and started to play music professionally at 17 years old. 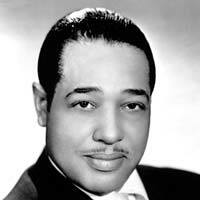 In the 1920’s, Duke Ellington performed in Broadway nightclubs as a bandleader of a sextet. Ellington sought out artists with distinctive playing styles like Joe Nanton, who gave his trombone sound to the world and Bubber Miley, who utilized a plunger to create the “wa-wa” tune. Sometimes, his ensemble comprised of the alto saxophonist Johnny Hodges, cornet player Rex Stewart, and trumpeter Cootie Williams. Duke Ellington made a number of recordings with his band. They were featured in various movies and on radio. They even toured different European countries in the 1930’s. Ellington rose to fame in the 40’s when he composed various songs, including “Ko Ko,” “Concerto for Cootie” and “Cotton Tail”. Some of his famous pieces include “Satin Doll,” “Sophisticated Lady,” “Prelude to a Kiss” as well as “Solitude.” Many of Ellington’s masterworks were sung by a talented female vocalist known as Ivie Anderson who was a member of his band. Duke Ellington is renowned for his sense of musical drama. His unique blend of tunes, rhythms and subtle sonic movements gave the audience a new experience of intricate yet accessible jazz. Duke Ellington influenced many people across the globe. He gave American music a distinct sound for the very first time. In his 50 year career, Ellington composed around 3,000 songs and played more than 20,000 performances around the world. Duke Ellington received numerous Grammy Awards throughout his musical career. In the year 1959, he was awarded the Springarn Medal by the NAACP. In 1967, he was given a prize by New York City and Yale University gave him a doctor of music degree. In the same year, Washington University and Morgan State also awarded him honorary degrees. On his 70th birthday, Duke Ellington was honored by President Richard Nixon at a White House ceremony where he received the Presidential Medal of Freedom. At the age of nineteen, Ellington married Edna, who had been his fiancée since high school. Soon after their marriage, they had one child, Mercer Ellington Kennedy. In 1974, at the age of 75, Ellington died of pneumonia and lung cancer. He is buried in Bronx, New York. His funeral was attended by people from all walks of life. His influence over artists is as essential today as it was during his time.